I know I might sound very naive due to my short time in the search marketing industry, but I believe creativity is more important than ever before. The recent shift in the SEO industry (due to two fuzzy animals) has placed a greater weight on relationship and content-based strategies. This forces search marketers to take on additional creative responsibilities. Traditional on-site expertise remains important, but I’m talking from a link building perspective here. Our industry is now less about gaming the system and more about creating creative content that fosters organic “link-earning.” Whether you like it or not, I think it’s time to get on the content train before it leaves you behind. There have been a lot of posts on creating this kind of great link worthy content, and I think a lot of them can boil down to something I heard Dave Snyder say a couple weeks ago. Content is only really successful if it elicits an emotional response of some kind. Whether that emotion is joy, sorrow, fear, or anger, it is that knee jerk reaction that triggers the action you are looking for: a share, response, like, etc. Producing creative content that accomplishes this type of response is something that I’m working hard to achieve, so I wanted to share five ways I’ve learned to help myself and others cultivate this kind of creativity. 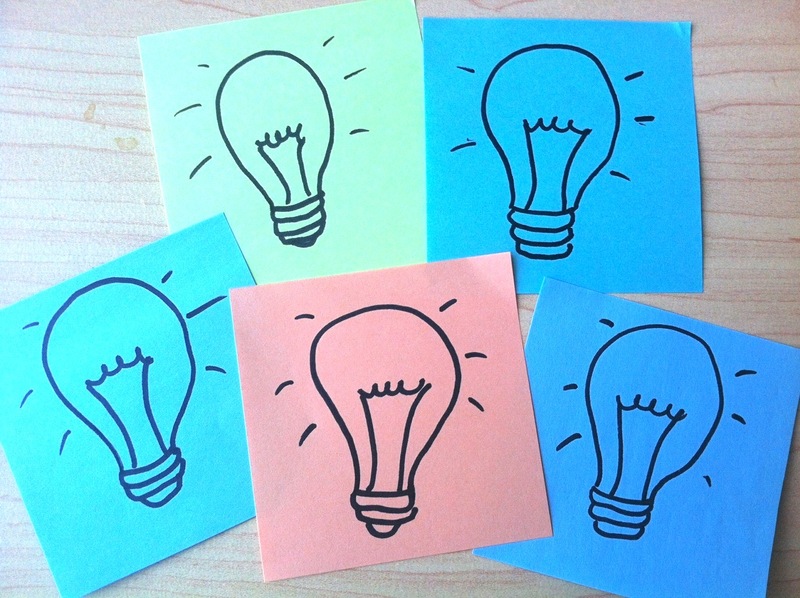 Brainstorming sessions can be a team’s best friend or worst nightmare. If conducted properly, brainstorming is an effective technique that will help produce creative concepts. While there are many steps involved in a proper brainstorming session, I wanted to highlight just a few that I think are often overlooked. Setting parameters is a key difference that separates a brainstorming session from a time wasting session. Before a group session begins, project goals and roadblocks should be addressed to create clear constraints for idea generation. Make sure these constraints are noted somewhere to save the group from later having to sort through irrelevant ideas. Personally, I’m not very good at coming up with ideas “on-the-spot” which is why I like knowing these constraints ahead of the group session (days ahead if possible!). This time allows me to passively think up concepts or ideas as I go about my daily life. You never know when hearing or doing something may trigger an idea. Another major requirement in brainstorming is to eliminate all negativity. Not only do people not want to be around a negative person, but negative or judgmental comments have the ability to cripple someone’s confidence and creativity, thus undermining his/her effectiveness. Always remember that the creation phase of a brainstorming session is not to vet every idea for its practicality or feasibility. Just because an idea doesn’t pan out for a certain project, this doesn’t mean it’s necessarily a bad idea; perhaps it can be reformatted or altered to fit another client’s goal. The thought behind this is that brain power and creative ideas are valuable resources that we shouldn’t waste. In a practical sense, I think groups should keep a collection of unused creative ideas and what inspired those ideas. Often these ideas will come from effective brainstorming sessions, but other times they will just be a random thought passing through somebody’s mind. Consider creating a shared document or bulletin board of some kind to house all these ideas, my boss Rhea wrote of some good tools for idea collection earlier this year in her Blog Inspiration Series. Try using Springpad, a private Pinterest board, or whatever collaboration tool you may use internally, to begin this collection. Add ideas, pictures, quotes, stats, and anything else that is relevant. Then add to it as you see fit. I like to think of this idea collection as a place I can always visit for inspiration and creativity. I remember watching Canon’s Long Live Imagination campaign with Ron Howard and thinking to myself how cool it would be to have a room filled with amazing photo’s to pull inspiration from. Maybe one day I will have something similar, but for now I’ll stick to using an app and a computer screen. It’s important to understand that in order to foster a creative group culture, we have to all be aware of, and respect, the different personality types in our organization. A personality misunderstanding can often be an underlying hindrance to group cohesiveness and communication. Working with a MBTI or DISC certified assessor will help shed light on what personality types are in the group and how to most effectively work together. I know as an extrovert I often have to spitball ideas with someone just to clear my head of all the drivel or unfinished ideas floating around. I would never come up with anything meaningful if I was told to just think alone at my desk. Knowing how people think and work is a powerful tool to get the most creative out. I don’t believe a group can rely on one superstar to lead a team to success (think Cavaliers–Leron James era). Input and collaboration from team members is vital for creating the best results. Hopefully your organization, like Outspoken Media, is more about team wins than personal highlights. An organization like this eliminates any fear of sharing ideas due to a “he/she will steal my idea–and therefore they will look better than me” scenario. While a creative spark may come from just one individual, I think Spy Hop phrased it best in that “creative sparks must be nurtured, invested in, and shared with the world” and this cannot happen without the support of others. Whether it’s to show me a different perspective, add a different aspect, or to point out an unseen fatal flaw, I am consistently relying on my peers. I believe there is no greater inhibitor to creativity than a closed mind. I follow the notion that creativity and inspiration are drawn from all of my combined experiences. The more different and unique experiences I can draw from, the more creative my mind will be. For this reason I am always trying to learn and experience new things. I love to travel, learn languages, read different magazines, and watch foreign films. I do these things not only because they give me pleasure, but because I know they are ultimately helping my creativity. Creativity is not like riding a bike. Neither is it easily quantifiable. While there is research going on to identify exactly what is going on in your brain, nothing has been conclusively determined, so until then, I am going to follow the old adage that “the more you practice, the better you are.” Oatmeal said it best–creativity is a river, not a pool. With that said, I think its only natural to employ these techniques and consistently think in the mindset of “how can I do it differently.” If this industry is going to continue to push us towards more content-based marketing and outreach, we might as well be producing the most creative, emotion-triggering pieces of content we possibly can. There are so many other things that inspire me to try and be creative, but I would love to hear some things that inspire YOUR creativity. Philip was an Internet Marketing Specialist with Outspoken Media. An avid fan of all things Internet Marketing, Philip recently graduated from Rensselaer Polytechnic Institute with a B.S. in Business Management and concentrations in Marketing and Entrepreneurship.